Saddle up for some good old-fashioned fun as you ride along the ridges and valley of Glacier National Park. 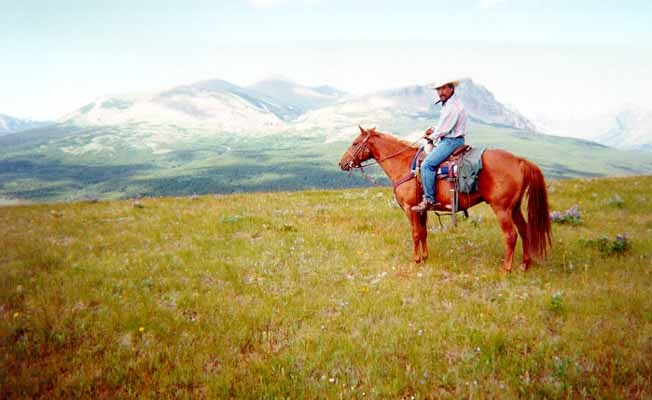 Enjoy a guided horseback trip along the western border of Glacier National Park into the heart of Native American land. Native American guides will direct you along maintained trails of mountainous terrain. You will have an opportunity to observe wildlife at its wildest along with all the breathtaking beauty of the mountain front including sights of the famous Looking Glass. You'll also view the Two Medicine River gorge with unbelievable scenery that has to be seen to be believed. And all that without the bother of vehicles and traffic! Ask about our special cattle drives. Glacier Gateway Trailrides is located off Highway 49, 200 yards kitty-corner from the Glacier Park Lodge next to the train depot.